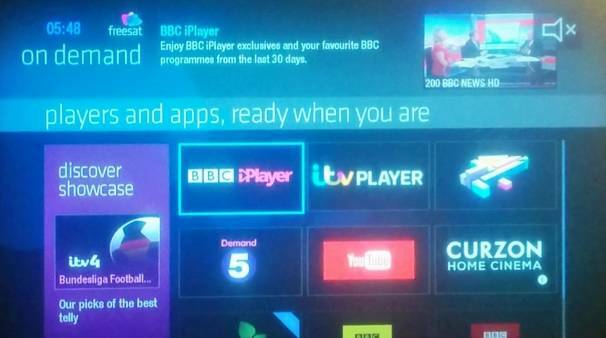 I have done a full reset, and followed your above instructions but when I go to on demand it keeps saying "on demand is not currently available ", everything else is working fine. All software is up to date? my on line services have been off for the last two days, both on demand and showcase, the box would not connect automatically managed to connect manually but still no online services, I put the google DNs in as the secondary and now can get showcase, on demand now has icons but if I select any of them it says the link is not working. Tom Davies: That sounds like an internet problem, not a TV problem. 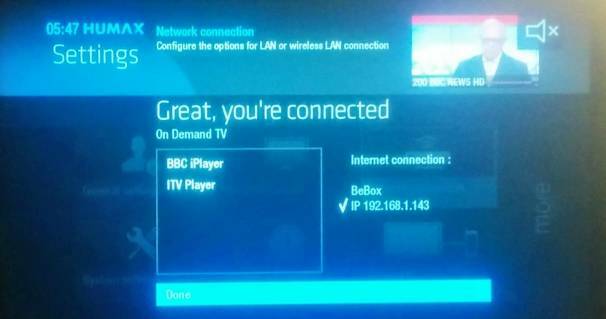 a) have you connected the box to the router? b) how old is the box - the software might be the latest, but that might be old. Tried all the above. Internet is ok, tv channels coming through but no on demand! !...the box is only 7 months old and has all new updates etc. Says available in 1minute but that minute never comes grrrr.... It wasn't a cheap box to buy and ditched sky for this.. Please help..
Jean Palmer: Go to the manufacturers website /forum, you might get help there. 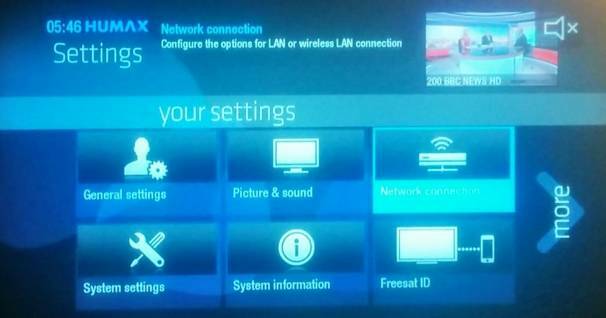 Been using the Freesat HUMAX box for several years trouble free. 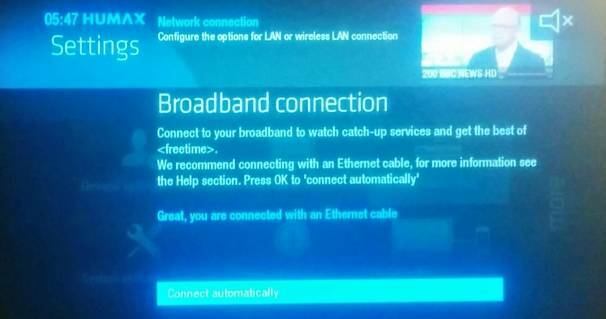 Last night tried to access iplayer but a message cam up "Sorry, no internet connection has been connected". Tried going through settings; network connection,connect automatically, but still no joy, same message of no internet connection. Tried turning everything off including router but to no avail. Obviously there is an internet connection as I am acccessing internet with iPad/computer. Read that going back to factory settings may be an option but also noted that this option was not satisfactory- do you lose all the recorded programmes if you opt for this strategy? Chris: Have you tried again this morning? There could have been some kind of fault at the BBC's end last night.